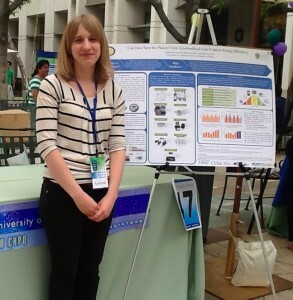 TML Research Associate Cassandra Squiers presented research she has been conducting for the past two years with TML Director Beth Karlin and Dr. Rebecca Ford of the University of Otago last week at the Metropolitan Water District of Southern California’s ECO Innovators Showcase. The project, which examined the potential to harness data being collected through the burgeoning smart grid, claimed the competition’s energy conservation award. Such data can provide consumers with information about their own energy consumption to better understand and control their energy use by making it more visible and establishing a nexus between actions and impacts. The competition was part of Metropolitan’s 6th annual Spring Green Expo, an educational event featuring more than 65 exhibits by college students, businesses and public agencies at Metropolitan’s downtown Los Angeles headquarters building on Thursday, May 16. 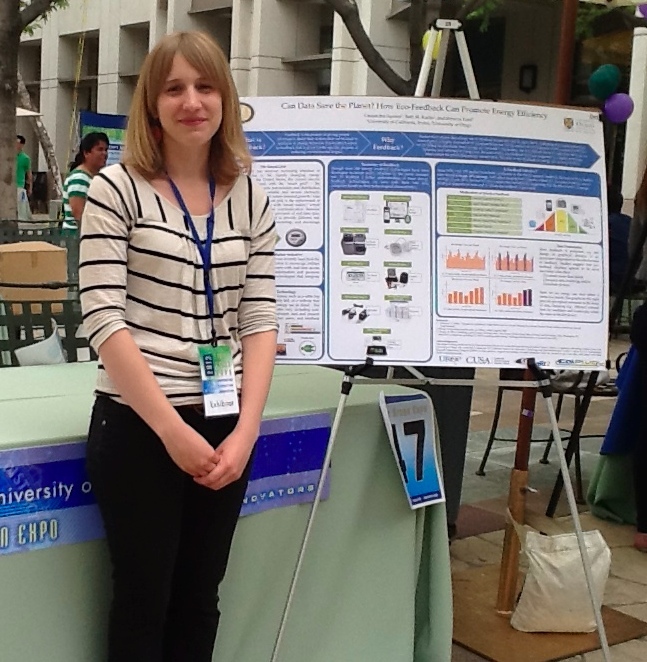 The contest attracted projects from 17 universities and community colleges throughout Southern California in three categories—water conservation, energy conservation and green transportation. Click here to view the MWD’s official Eco Innovators Showcase Award page.